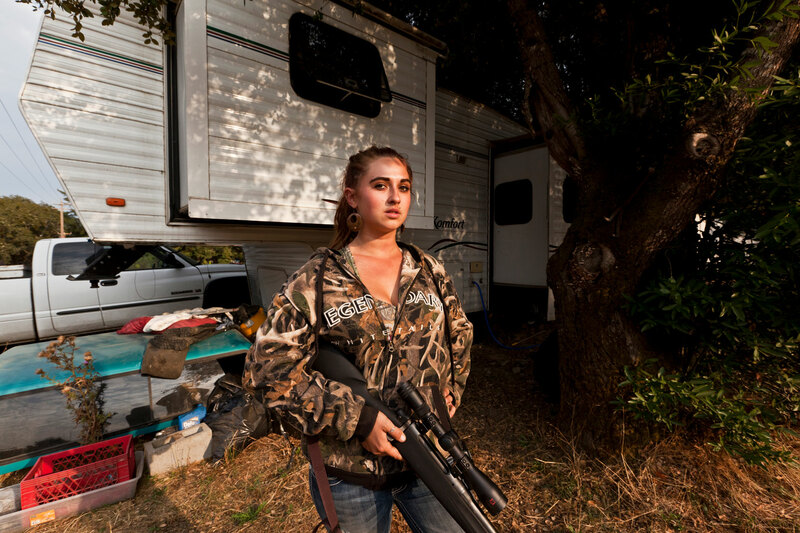 Alexis Stone, a deer hunter, volunteer firefighter, and store clerk for the only general store in town, poses in front of her mobile trailer with one of her new rifles in Honeydew, California. Her mobile trailer allows her freedom to plug into the electric grid when she wants. Alexis works across the street and comments on how short her commute to work is, 'leave for work at eight and get to work at eight'.